First submitted Friday, 16 March 2018 at 13:34:57 by Simon D G Webb. 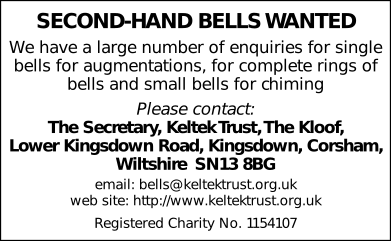 Sent for publication in The Ringing World on Thursday, 26 July 2018 at 09:10:34, and printed in one of issues 5598 or 5599. This performance has been viewed 413 times.